Rag N Bone Man deserves to be world-renowned; his 2013 collab with Leaf Dog was a heavy fusion of smouldering soul and syrupy vocals, Reuben’s Train was one of last year’s finest tracks, and after airplay from DJ Premier, Mistajam and Zane Lowe; the Rum Committee vocalist continues to scale new musical heights on his latest collaboration. 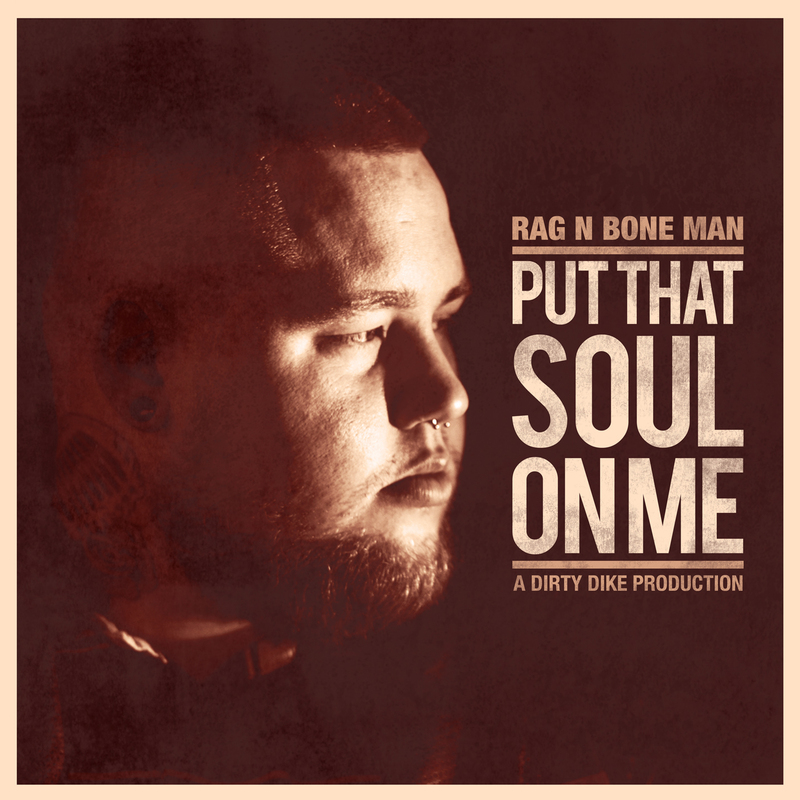 Put That Soul On Me combines his smoked-out songwriting with beats from larger-than-life MC and skilled producer Dirty Dike; who creates a fresh, musically diverse backdrop for Rag N Bone’s urban blues. The introductory title track slinks out the speaker with lazy flute loops, clean shakers and splashy snares; as Dike’s loose, natural feel allows room for some of the EP’s most memorable vocal patterns, and Rag N Bone’s cadence channels BB King and D.P.G. simultaneously. Across The Sky wallows in an inebriated haze as Rag N Bone drip-feeds lines, draping words in a slow drawl over minimal horn loops and sparse drums that swing like Questlove on Voodoo; while My Business finds Ronnie Bosh dropping intricate rhymes on an ill jazz flip from his Contact Play affiliate, and after Rag N Bone’s gruff, reflective verses bloom into a huge, catchy chorus; he hits a few final falsetto’s that would have most modern R & B singers struggling. This unexpected release from High Focus is one of the finest you’ll hear this year; an enjoyable listen for anyone into Soul, Blues, Hip Hop or Gospel, from a humble vocalist that could be the UK’s answer to Bilal, and an established emcee that’s becoming a seriously accomplished producer. Buy it digitally here, and physically here.